The holidays are here and Christmas day is all so near. It's that time of year again, when we all like to spend quality time with friends and loved ones, exchanging gifts, eating good food, being merry and playing video games! And to that end I've compiled a list, and I've checked it twice, of 5 Christmas themed games that are fun, interesting and/or utterly bonkers. These games are sure to put just about anybody in the holiday spirit. So, without further adieu and in no particular order. 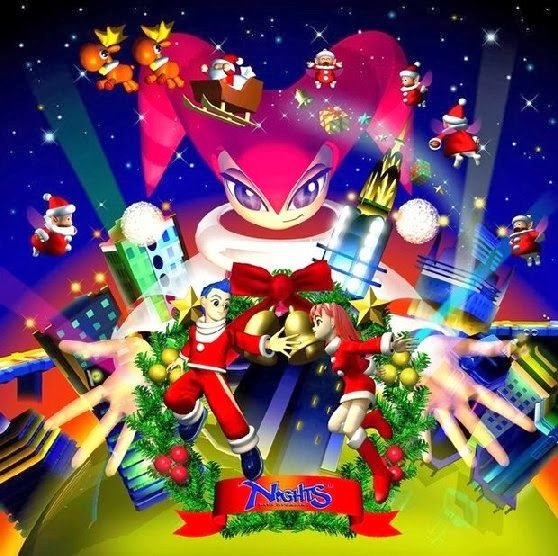 A bit of an oldie but a no- brainer for those who've played it, Christmas Nights is a two-level expansion on the original platformer Nights into Dreams for the Sega Saturn. The great thing about this game is, depending upon the time of year, environmental elements of the game change. Meaning that during December players are treated to not one, but two festive, Christmas themed levels! While there are many who may have missed out on this wonderfully Christmas themed experience, those gamers who did get to experience Christmas Knights remember it quite fondly. I'm not quite sure what it is about Elf Bowling that makes it so enjoyable, maybe it's the fact that you get to roll a huge heavy ball into a bunch of idling elves. No wait, that's exactly it! 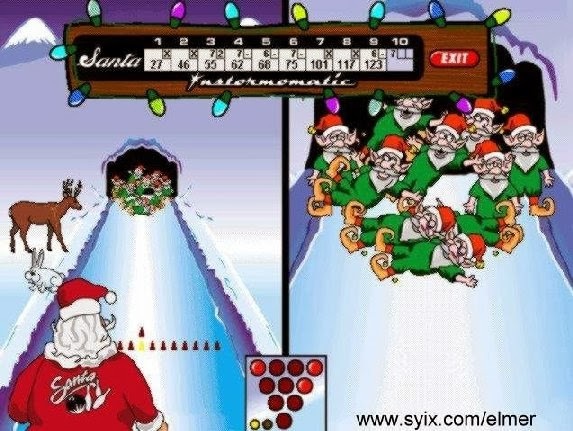 Released for the PC in 1998, Elf Bowling pits Santa Claus against elves who have gone on strike. Being the great diplomat Santa Clause is known to be, he decides the best cause of action is to use them all for target practice by bowling huge, heavy balls at them, while they stand at the other end taunting and mooning him. I really don't know what else to say here, while being a very out dated looking game, Elf Bowling is just so stupidly fun not to like. You won't find many other Christmas themed bowling games, and the fact that this one is so fun and cheeky makes it a must play. Developed by PimPum Games, Santa Jetpack: Magic Sleigh is a simple but fun, mobile game to put you in the holiday spirit. And best of all, it's free to play. The game puts you in control of Santa Clause piloting his jet-powered slay (Evidently the reindeer are on strike now too) you'll need to avoid crashing into floating ice blocks and penguins, while trying to collect the many gold coins scattered through out the levels, as well as 3 illusive gold stars. Santa Jetpack: Magic Sleigh may look like a simple retro style, side scrolling, collect 'em up, but it has a lot of charm. The fact that it's also a Christmas themed game is just icing on the Christmas pud. So, if you're in need of some light, Christmas themed entertainment to tide you over till Christmas day, you can't go far wrong with Santa Jetpack: Magic Sleigh. By far the most demented Christmas themed game on the list. 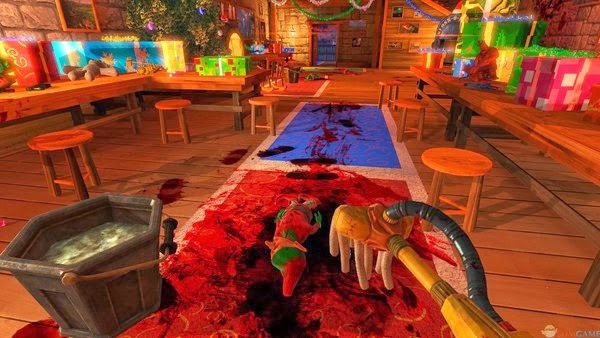 Developed by RuneStorm and released in December 2013, Santa's Rampage is a FPC (First person cleaner) game, where you play the part of a cleaner who is tasked with cleaning up the visceral after carnage of Santa Clause's violent rampage. "Tragedy! Santa; the toy giving folk-hero, and purveyor of fine Christmas goods, has had enough. Endless requests from greedy children wanting more and more every year, tax increases, pressure from elf unions, bills, reindeer!" None of the carnage is ever shown, but it looks to be that the Elves at Santa's work shop where getting a little tired of their inhumane work conditions, and gave Santa an ultimatum "Meet our demand or we quit." This seems to have been the straw that broke the reindeers back, as Santa instead looses his mind and goes on a murderous killing spree, butchering all of the Elves and Rainder leaving quite a bloody mess behind. Honestly, Santa's Rampage premise is ridiculous, but it is also incredibly interesting from a (what if) point of view. And while it may not be the best game to get you in the holiday spirit, it is fun and certainly one of the most unique and original Christmas themed games available. We all know by now that nothing ever goes well for the inhabitants of Borderlands, but it turns out they can't even enjoy the holidays in peace. Snowmen are causing problems and as if that wasn't enough, the Abominable Mister Tinder Snowflake is also spreading the winter time blues. So, it's up to Marcus to spread some warm holiday cheer with a little help from his arsenal of large, fire spreading weapons. 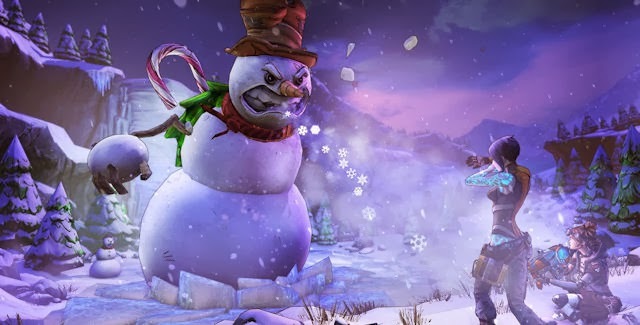 This Borderlands 2 Christmas themed DLC is well worth checking out, if you're looking to get yourself in the holiday mood. It offers players a bunch of new festive collectables, heads and skins, and is a great way to share in some holiday cheer with a friend. Well, there you have it. 5 fun Christmas themed games to put you in the holiday spirit. Whether you're looking for something fun, interesting or absolutely bonkers you'll find something in this list to keep you entertained over the holidays. 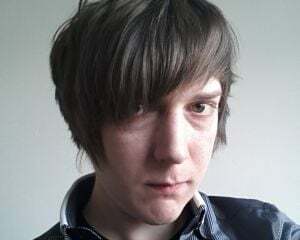 Thanks for checking out my blog, while you're hear why not let me know what your favourite Christmas themed video game is by sharing it in the comments section. Have a Merry Christmas and Happy holidays everyone!